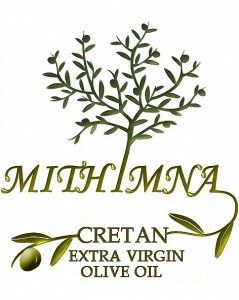 The company “Mithimna Cretan Olive Oil” is a family business founded in 2013 to promote standard extra virgin olive oil. Located in the municipality of Drapania Kissamos, Chania, the Stravatzaki family has been cultivating olive trees for more than 50 years. We are dedicated exclusively in the production of extra virgin olive oil, of the Koroneiki variety. On the same day the fruit is cut from the tree, it is moved to the mill for olive oil production, in order to have the lowest possible acidity. The oil is stored in stainless steel tanks and packaged with the most modern machinery, according to the regulations of the European Union and the World Olive Oil Council, retaining all the beneficial ingredients of olives. So it remains low acidity and peroxide and reaches the consumer fresh and rich in flavor, with a velvety texture and fruity flavor. We always guarantee the highest standard and best quality olive oil on the market.